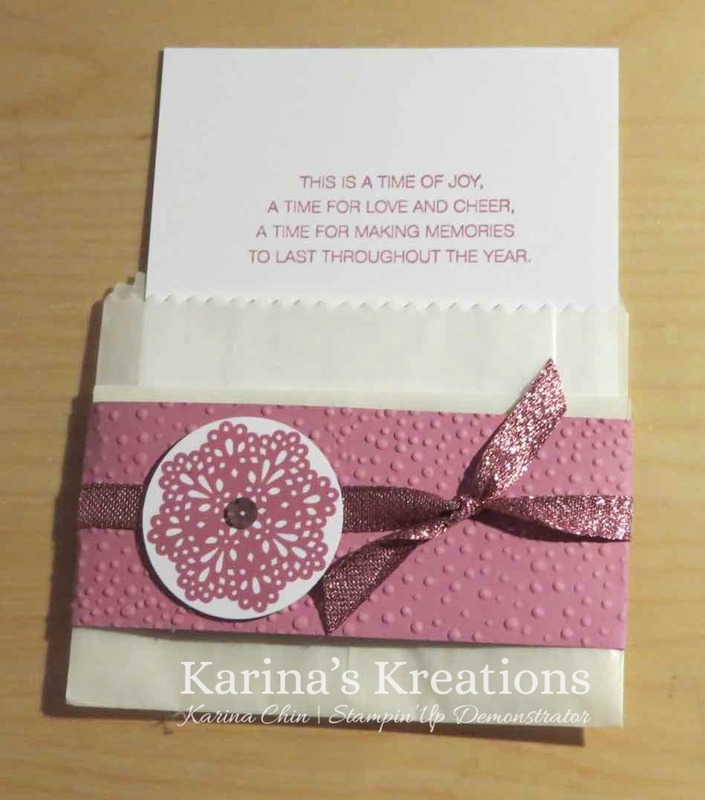 Karina's Kreations: Stampin'Up Frosted Medallions! 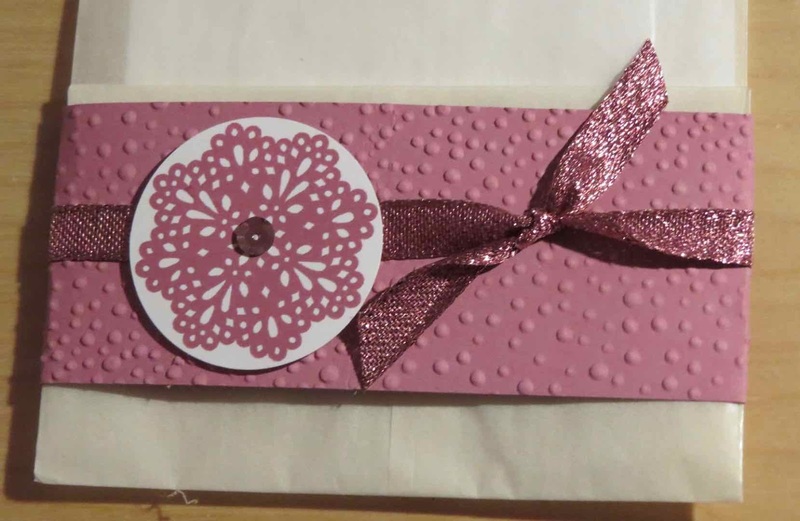 I have a gift card holder class on Dec 9 and this is one of the projects. I used a Glassine Gift Bag #141700, Frosted Medallions stamp set #142189 and 3/8" Glitter Ribbon to make my gift card holder.